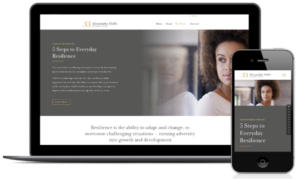 A big part of my job building websites is to help people, women in particular, express their brand to the world in a way that feels right to them and also attracts the kind of business they’re looking for. 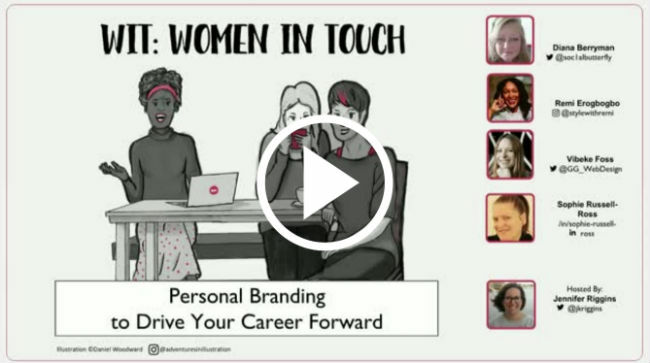 So, I was really flattered terrified pleased to be invited to take part in a recent live webinar, organised by Jennifer Riggins, discussing personal branding for women in business and the workplace. The members of this all-female panel – involved in web design, social media, and style and beauty – each brought their own unique perspective to the topic of personal branding and how it can drive your career forward. Here are some takeaways from that conversation. Whether you’re trying to land your dream job, attract your ideal client or, just as importantly, repel the clients that may indeed come from hell, it’s no longer a question of if you should be focussing on your personal brand, but how. Everyone has a personal brand – by design or by default. So, what is personal branding? What is it not? What you can achieve by developing your own personal brand, and how do you go about it? So, in order to build and communicate a clear and strong personal brand, these are the things that you’ll need to be really clear on. And that may take some work. Many of the clients that I do work for (therapists, coaches, small business owners) are creating a business around who they are. But it’s surprising how many people who want to sell their services online cringe at the idea of actually promoting ‘themselves’, especially if they are in the business of helping others. And do I understand how they feel. After all, can’t your work just speak for itself? As someone who helps people write and organise their web copy, I am always trying to hammer the home the key idea that the words should convey benefits vs. features. … but how what you do benefits the client. It’s all about the client. And yet, they still need to buy into the idea of you and how you deliver those benefits. So, it’s also all about you, and your personal brand. What value does personal branding bring and what does it help you accomplish? By taking ownership of your brand you are taking control of how you share your own ‘story’ wherever people are going encounter it, online and off. And in the digital world there are so many possible touch points that you need manage. If you don’t somebody else may be telling your story for you, and not necessarily in a good way. There’s no doubt that the actual exercise of personal branding, the thinking and the work that’s involved, helps you to hone in on what you want to do and achieve in the world. To focus on the kind of work that you want to do and the kind of people and businesses that you want to work with. 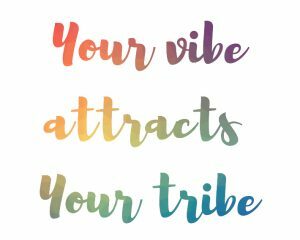 We were reminded in the webinar of that well-know phrase, put’s all this in neat nutshell: “your vibe attracts your tribe”. This honing process may well lead you down a bit of a personal, as well as professional, rabbit hole development path. No bad thing of course. Finding your passion and purpose, and then aligning your business/career goals and your actions with those, takes a little bit of work. It doesn’t necessarily happen over night. If this is something that you struggle with, two books that I found incredibly useful and insightful on the subject of uncovering passion and purpose are Hot Women Rock, by Pat Duckworth, and New York Times bestseller The Passion Test, by Janet Bray Attwood and Chris Attwood. I work freelance now and haven’t had a ‘job’ for several years. So, instead of a line manager or director, I have lots of managers. I have a boss for every job. And if I wasn’t doing the work that I like, for people that I like, who in turn are doing work in the world that I respect, and that has a lasting positive impact… well, I’d pretty miserable right now. Through your personal brand you can attract the right clients, or employer, which leads to better communication and collaboration. You get better buy in and ultimately you do better work. That’s 3x better. How do you start to build a brand? Yup. The A-word. Find your voice and then don’t be afraid to use it. Identify your core values and don’t be afraid to voice them. Bring your values, your voice and your personality into your business and people will buy into you and your service. Clients and employers are people too… so don’t be afraid to show a bit of personality. I’m really inspired by Brené Brown right now, the best selling author of Daring Greatly and viral Ted sensation. She’s the shame and vulnerability woman, or ‘Vulnerability Ted’ as she was once referred to in the supermarket by another shopper who’d seen one of her Ted Talks. Brown speaks about how you can only really present your authentic self (which is kind of intrinsic to the whole self branding kaboodle) by making yourself a little bit vulnerable. So, be brave and be vulnerable and let people know who you are and what you stand for. That way you’ll have a better chance of attracting the kind of work and clients that you want. Fellow panellist Remi Erogbogbo, a style and beauty coach, put it well when she said that personal branding is about projecting an authentic image so that people recognise your for who and what you are. A couple of things came out of the webinar quite strongly for me. The first is that there is no hard and fast formula to developing your brand and second is that it is a process rather than something you can just fix and forget. It’s a work in progress for many of us and people can come to discover and understand their personal brand just as much as they can set out to build it. It can be an organic process. 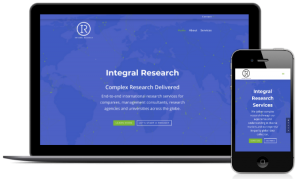 Vibeke Foss, web designer, business coach and all-round Gorgeous Geek, said that she finally woke up to her own brand when she was at a conference and people came up to her and… and they were like, hey aren’t you that girl? The Gorgeous Geek. It’s very hard when you’re starting out, especially as a freelancer, not to say yes to every damn paying job that you rugby tackle to the floor comes to the door. Because, bills. And imposter syndrome – not entirely the province of women, but most of us have been there at some point, right? Which is how someone might end up building an affiliate website for online gambling, or knocking out reams of white label articles for gambling websites, even though it’s hardly work to make your soul sing. That would never happen to me of course (coughs)… that would be right off brand. But eventually, as the experience stacks up, you can start to niche down. And then your back catalogue starts to support, and/or shape, your brand. And so begins a virtuous circle of dream clients and lovely jobs and nice holidays in the sun… it’s good to dream. Clients can be a great source of insight and information. What do they look like and what do they stand for? Perhaps a pattern in forming. You can also ask your clients what they like about working with you and what particular value you bring to them. Perhaps it’s your straight talking, your creativity or ability to stick to a budget and meet deadlines. Perhaps it’s a quality you hadn’t quite realised in yourself yet. 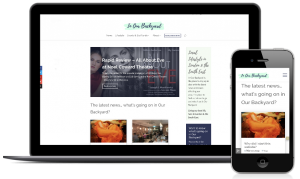 Testimonials and client feedback are a particularly good source of inspiration when fine tuning your personal value proposition in your website copy, CV or LinkedIn profile. 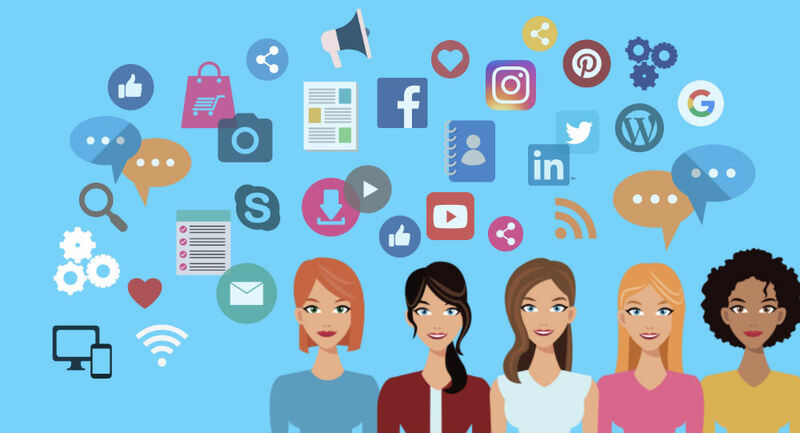 Diana Berryman, social media specialist and ace virtual assistant, said that she found her brand through her niche, which essentially grew out of her network. And this too is a great place to begin when starting to build your personal brand. Your network can tell you a great deal about who you are. Networking both online and off, when done thoughtfully and with intention, can help take your brand and career to the next level. Investing the time it takes to create trusted and sustainable connections can bring opportunities and credibility in the long run. Blogging and social media are very effective channels for this. But success depends not only on you presenting your authentic self via these channels, but also providing some value in the content that you produce and share. It’s ok to blow your own trumpet once in a while, but it’s just as important to be useful to your connections. You might ask why having a website is important for establishing your personal brand. Isn’t there an argument that you can achieve the same results in terms of personal branding using social media alone? 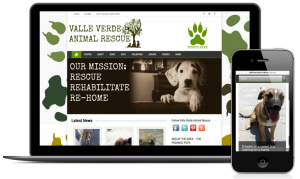 As you might expect from a web designer, I’m going to say yes, you should have a website. Simply because, it’s your platform. Yes, you have to be on the other platforms, but this one is yours – the one piece of digital real estate that’s owned and controlled by you. It’s where you can really express who you are. And who you are now. You can show case your work. Write about what you like and what may interest your network. And it can evolve as you evolve. 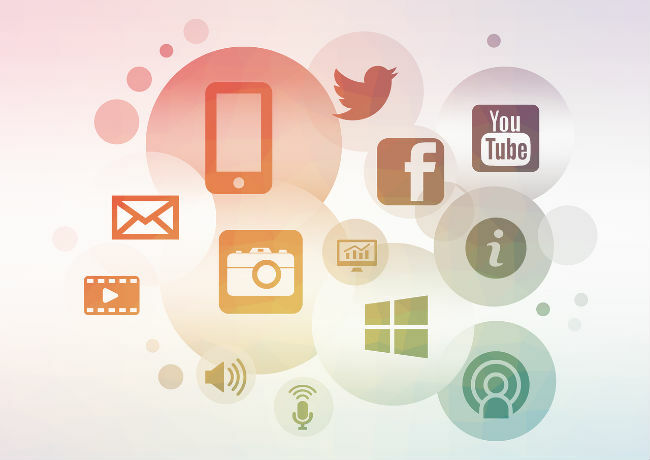 Social media is of course a vital part of you marketing strategy, but your website is the home of your brand. It’s what people expect. If they’re going to hire you, they’re going to check you out on line. 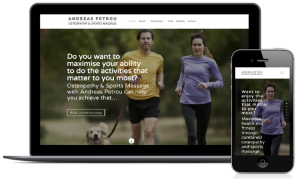 Let your website be the first place they find you so that they can see who you are, what you do, how you do it… and essentially how you can benefit them. What’s the most powerful marketing tool these days to build your brand? It’s consistency. 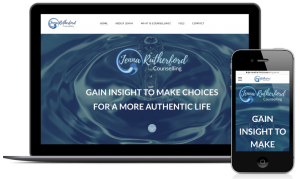 The power of a consistent message about who you are, what you do and what makes you unique is important in everything you do and every place you appear – your website, social media, right down to your business cards. For a strong personal brand it’s important to be consistent across all platforms and interactions. Your profile picture and, where possible, your usernames should be the same across your social media accounts and should convey professionalism and personality. But does your personal brand have to be consistent across life? Consistency in itself conveys authenticity. If there’s a big gap between who you are in your life and who you present yourself to be at work that’s going to create a disconnect when people encounter your brand. And these days it would seem that it is never too early to start thinking about personal branding. Which is why we are so concerned with educating our kids about social media. 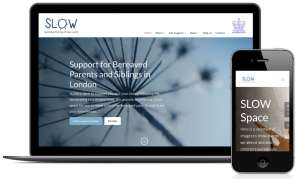 To help them understand, not only the dangers of the internet, but also, the impact that their behaviour on social media might have on their ‘personal brand’ and future career. Right, on that rather dystopic note, I’m off to to practice what I preach and to see what my child is up to on the iPad. WiT: Women in Touch is a series of regular webinars hosted by ​​​​​​​Jennifer Riggins, writer, content marketer and ebranding ninja.